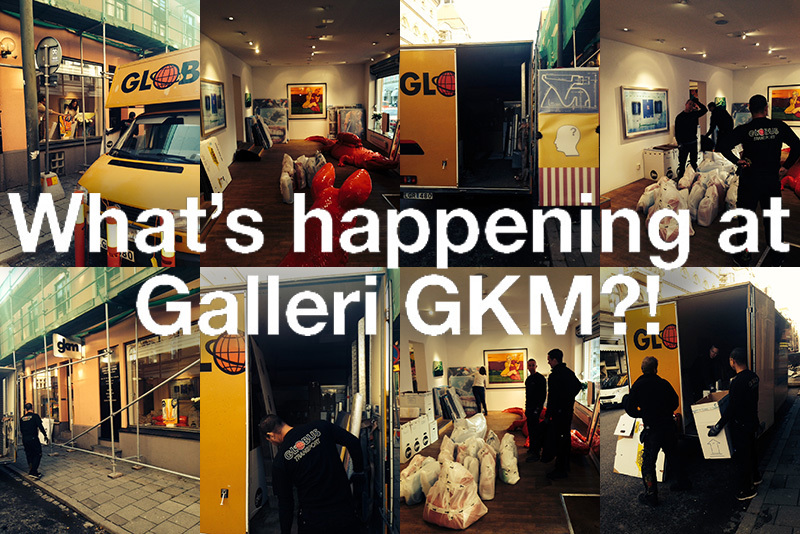 What’s happening at Galleri GKM?! Winds of change are blowing and change is good! We have remade our website which we hope you will find easier to grasp and to handle. Have a look at www.gkm.se! The gallery is full of great artworks and as usual we are 100% at your service! However, we will not be able to have any exhibitions until spring since the premises we reside in are rebuilt into apartments. This means that our gallery will be a bit smaller but much, much nicer! Galleri GKM started in Jönköping in 1967. In 1984 we moved here to Stora Nygatan 30 in Malmö where we have experienced small moments of art history through hundreds of exhibitions. The art history will remain in the walls and the future art history will hang on them! While Thomas and Katarina are preparing for the renovation and moving our stock, Ludvig is exploring the art market in New York this autumn, poor him! Karl-Johan is running the gallery on the French market and together we are planning for coming events in our new, old gallery next year. Meanwhile we are always here for you! Welcome to visit us, either in the gallery or at our “new” website www.gkm.se. P.S. Don’t forget that art makes a difference – in your home and at your office. It inspires you and wakes up your senses. It gives you energy and opens up your mind, but most important of all, art makes you happy!